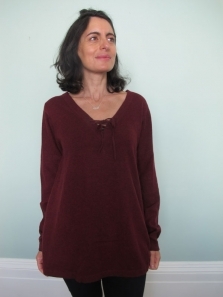 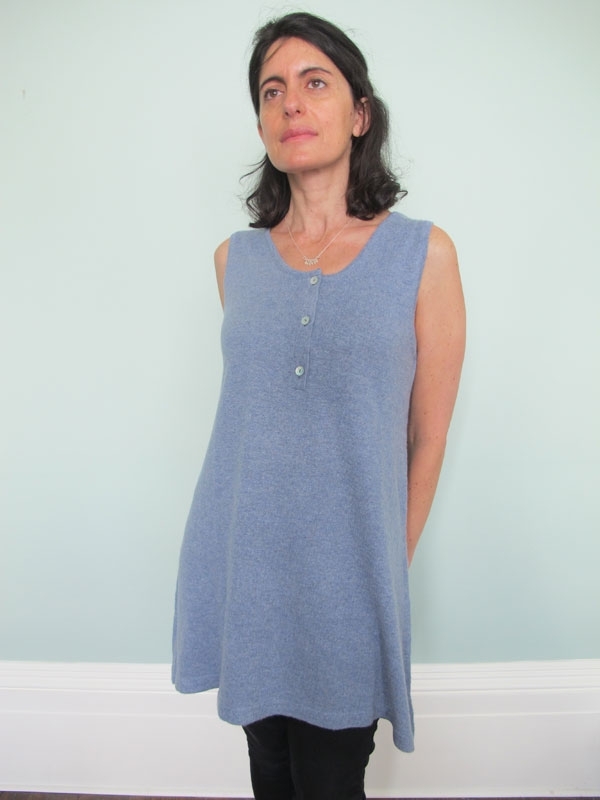 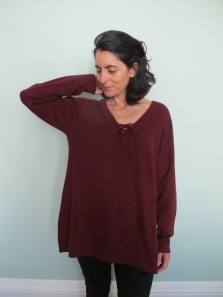 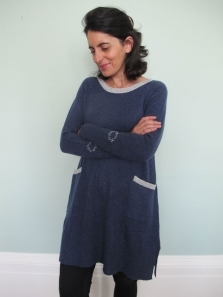 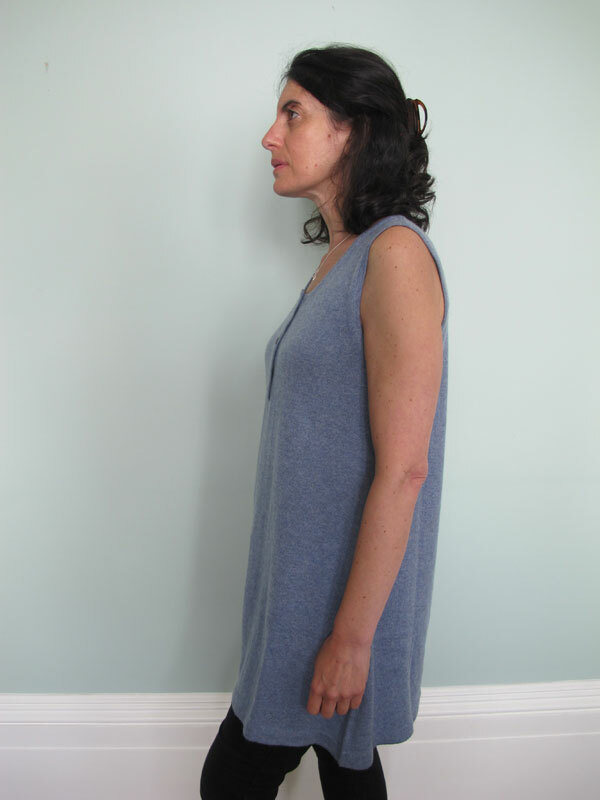 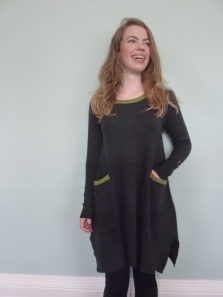 A charming, cashmere, easy-to- wear tunic. 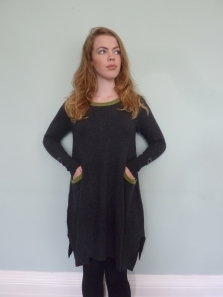 Perfect over jeans or leggings, team with a neat polo neck or long sleeve t-shirt. 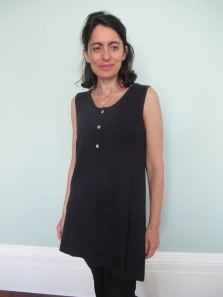 Reversible, shell buttons or embroidered wreath can be worn to front or back.